Monsters exist, whether they be real or wholly in our minds. Some of us enjoy the fear of the unknown, the thrill of danger that comes from something we can’t understand. Others like to delve into the deepest recesses of the human mind, to discover what lurks beneath an ordinary facade. 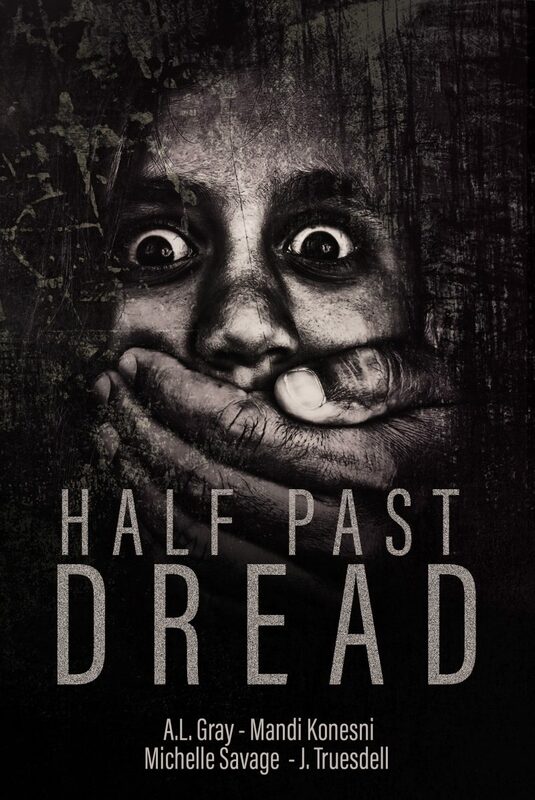 Whether you want to be afraid of what lurks in the dark, or to wonder about the evil surrounding you everyday, Half Past Dread has something for everyone. A Liliom Press publication, enjoy 4 chilling stories from our spookiest authors yet!